Auction this Thursday in-rooms at 6.00pm Harcourts Takapuna. After 54 happy years the time has come for our owners to move on and give you, the lucky buyer the opportunity to own this lovely family home. 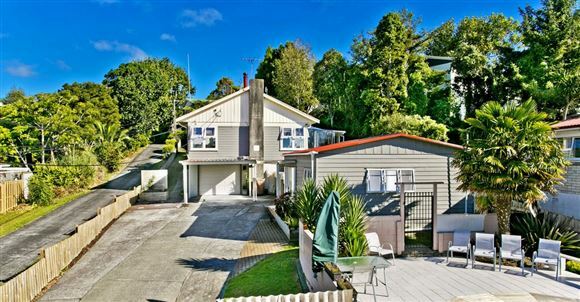 This traditional Kiwi classic solid weatherboard home has everything that the growing family needs. 4 bedrooms, spacious living area, internal access garage plus an extensive entertainment and pool area that is ready and waiting for you and your friends to enjoy. Vendors have already bought - 40 Hogan's Road must be SOLD! Chattels remaining: Blinds, Fixed floor coverings, Light fittings, TV aerial, Wall oven, Cook top, 2x Garage door remotes, Dishwasher, Barbeque, Pool umbrella and equipment.